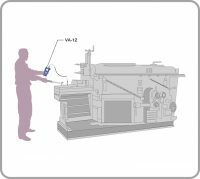 A compact portable vibration meter can be used for example to measure vibrations in order to check the operation condition of machinery in the field. 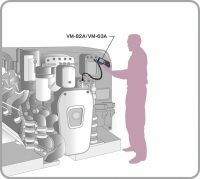 The setup is intended for final inspection by vibration testing on production lines. 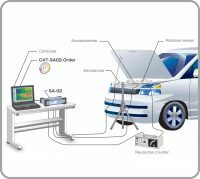 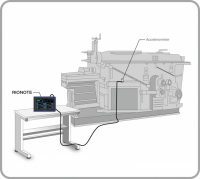 Intended for vibration monitoring of semiconductor manufacturing equipment and similar applications, this system measures microvibrations that normally cannot be detected by a regular accelerometer. 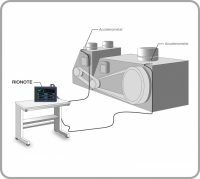 This setup allows mode analysis of a structural object. 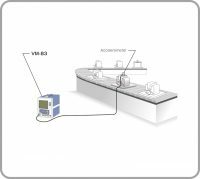 To measure the natural frequency of machinery or a structural object, an accelerometer and an FFT analyzer with at least one channel are required. 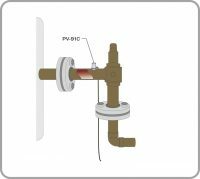 Measure the relationship between vibrations and revolution speed of rotational machinery, and perform analysis to determine the cause of vibrations and to examine resonance conditions. 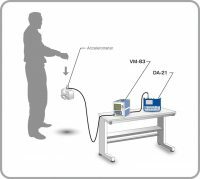 A compact, lightweight accelerometer and general-purpose vibration meter can be used for acceleration measurements in drop shock testing. 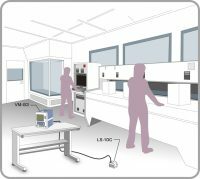 If the measurement target object is at a high temperature, an accelerometer designed for high-temperature use is required. 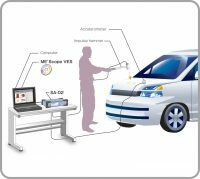 By measuring the vibration at the exciter side and the frequency response function of the vibration at the receiving side (transfer function), the vibration transmission coefficient can be determined.